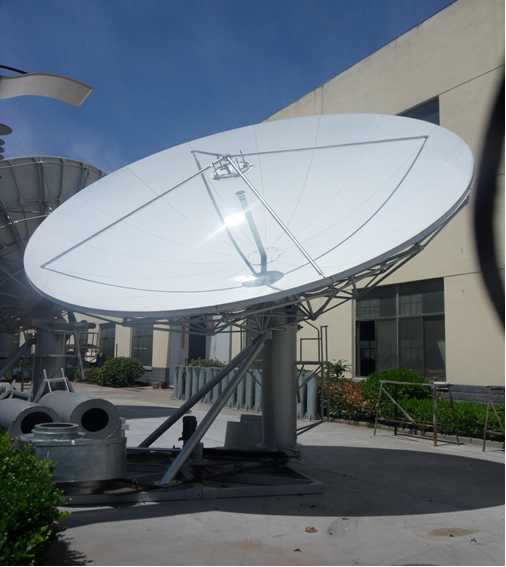 Alignsat 5.3m antenna delivers exceptional high performance for transmit/receive application in C ,Ku, and other Multi-band in Tx/Rx 2ports, 4 ports or Rx2 ports with high gain ,low noise and low microwave interference. Alignsat 5.3m antenna offers a fine reflector design with a stretch formed double contoured panels, strong back struts and hub for ease of field alignment. The standard designed azimuth over elevation pedestal provides a cost-effective solution for ground or roof installation with high stiffness and stability, full orbital arc coverage and fine drive performance, and ensures the pointing and tracking accuracy.